That's because I'm not, but I soon will be! What a great night last night. The venue was fantastic, the food was lovely, everyone sang really loudly and really badly! Perfect. Dom gave me the biggest surprise by showing a video he had made of my life up to now, there were so many funny moments, and clips from friends and relatives who couldn't make it. I was blown away and very emotional. I really do have the most amazing husband. Thank you Dom! Woo hoo! It's my birthday today. I am 30 years old - that is OLD! Yesterday I took my mum, dad and Dom to my admissions ceremony to celebrate me finally qualifying as a solicitor in November last year. There was a presentation and a photo op and some nice tea and scones. Later we had the lamb shanks that I had put in the slow cooker before leaving. They were lovely and tender, but a little bland. I used this recipe and I think it needs some improvement. I served the panna cotta I made on Thursday night for dessert and they were delicious, but could have done with a little less galatin I think - another thing to work on. I have already been having a lovely birthday, I got some lovely presents and at lunch today we had a lemon birthday cake baked by my mum. Yum yum! Tonight we are off to Imperial China for a meal with friends and a private karaoke session. I can't wait! UPDATE: As if all this wasn't enough, I have found out that I won the Envirosax giveaway on LJCFYI! Hooray! What a wicked birthday. I worked my little socks off last night, cleaning the house and baking treats. Like some kind of crazed loon I was baking my second batch of brownies at 10.30pm, while snacking on the leftovers of my failed first batch! Dusting, hoovering, making panna cottas and scones, wiping the floor, cleaning the bathroom, making up beds... I finally made it to bed at 1.30am. This morning I left it as late as possible to leave for work and crammed in more cleaning and then my family were there waiting when I got home from work and it was time to start entertaining. I decided to cook a chilli, and leave the lamb shanks for tomorrow, as I will have more time in the morning to prepare. My mum, dad, sister and boyfriend are all coming to stay with us for the weekend and they arrive tomorrow night. I want to cook something fairly traditional, as my dad is not an adventurous eater to say the least. I also don't want to be slaving over a hot stove when I arrive home from work as it is likely that my family will have already arrived, so I need to pay them some attention. In these situations before I have cooked casseroles the night before and then heated up, but I have found that for the time it takes to heat up the dish, I may as well have cooked something quicker from scratch. This time, I am trying something different. It wasn't one of the things on our wedding list, but we were given a slow cooker as a wedding present. It went straight in the loft as it is huge and just not efficient for two people, but in this situation, it might just come into its own. I've bought lamb shanks, and I normally use a Jamie Oliver recipe to cook them, which would work in the slow cooker, but I'm wondering if I should try something else. The Jamie recipe is Spiced Slow Cooked Lamb Shanks and has quicte a chunky tomato based sauce with it. I can serve this with mash but I think I need to serve another vegetable as well and I don't think extra veg will work with the chunky spicy sauce. I'm now thinking about a simpler sauce for the shanks, such as red wine. There are loads of recipes on the web, but there's always a little risk in cooking something un-tested for your guests. I don't want to mess it up! 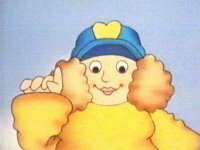 When I was little I used to watch an adorable little animated show called Pigeon Street and one of my favourite characters was Long Distance Clara . She was a lorry driver. She even had her own song, and I was singing it in my head yesterday while driving first to Basildon in Essex to the TNT depot to pick up our radiator. Back just in time for a sandwich, I was off again on the two hour round trip to Hounslow to return our faulty Ideal Standard bath to Doble Bathrooms. I drove back just in time to make it to the tile shop in Welling to pick up the bathroom tiles before it closed, they loaded me up and I was on my way home. Meanwhile, Dom had been plumbing in the new shower valve. On Sunday, Dom continued building the frame around the shower which will take the plaster board and eventually be tiled with mosaics, concealing the pipework. He is very proud of his neat plumbing. It's almost a shame to hide it away! While he was doing this I weeded the garden, laid bark chips in the borders, baked a new batch of granola and did about ten loads of washing. Together we went to B&Q to pick up plywood and also took all the bathroom rubble to the local tip (or Household Waste Recycling Centre as it is now called). We are both exhausted. Work tomorrow! I got a call from our neighbour today to say that our fence had been hit by a car. Sure enough, when I got back, a good 18ft of our front fence had been smashed to pieces. I remembered just how much work we put into erecting this fence over the first summer we moved in, and to see it in splinters was really quite sad. I reported it to the police, as it was technically a hit and run, although some of the neighbours had seen a young lad changing his tire next to the fence not long after some other neighbours had heard the crash, but nobody actually saw it happen. Later that night a nervous teen knocked on our door and apologised for what, he explained, had been a genuine accident. The poor soul. He could barely get his words out. I was so pleased that he had come to face the music. Bless. We are not having a good time of things at the moment with the bathroom. It feels like the world is against us. On our return from skiing we noted that the replacement bath leg still hadn't arrived from Ideal Standard, three weeks after we had called and complained and they had promised to send within 2-3 days. So Dom rang Doble Bathrooms yesterday(the place where we bought our bathroom suite from) to be told that he needed to get a returns number from Ideal Standard to be able to replace/ refund us. He then duly rang Ideal Standard and spent 37 minutes on the phone trying to get his message across to a couple of different customer services attendants. Their response was very poor. They argued that we should have checked the items for damage. Well, of course we checked for damage, but it's not until you fit something that you find out that screw-holes are in the wrong place. It was then that Dom mentioned the second issue with the bolt holes not being deep enough on the toilet pan and they started to show some sympathy. They checked and found that multiple toilet pans had the same problem. However, their suggestion for the toilet was to saw the bolt down to make it fit the hole! The cheek! We are now buying another bath because we can't wait for the issue with this one to be resolved and at the end of the call they were asking to see proof of purchase of our new bath before they would authorise the return but this is irrelevant and none of their business! We checked our statutory rights last night and we are entitled to a refund as the goods are clearly not of satisfactory quality. We informed them in good time, and they recorded on their system "leg failed". Why is this such a battle? Whatever happened to the customer being right or at least being treated with courtesy? We have emailed them again today, but have severely lost any shred of respect for them that we might have had. Now the thought of seeing their logo emblazoned on our sanitaryware really infuriates me. Grr! As if that wasn't enough, we called yesterday to chase the new towel radiator I ordered from radiatorfactory.net. I purposely ordered one from their 'stock items' so that it would be with us quickly, and three weeks on, no sign. When we called yesterday they told us that the goods are sent out directly from the manufacturer and they just assume they have been sent until a customer complains! Surely a responsible trader would expect a dispatch note to say when goods have been delivered. Clearly all they are interested in is taking our money and anything else after that is superfluous. I'm starting to wonder whether we should stop ordering from these small suppliers on the internet. If it works it is OK, but if something goes wrong it is much more difficult to get things sorted. It was business as usual at the Grace abode this weekend. Dom got stuck into the bathroom almost as soon as we got back on Saturday, bless him. He plumbed in the new Grohe shower valve. I made some lemon cup-cakes to keep him going. On Sunday we got up early and went for a run, then after another tour of the local DIY stores Dom worked right through until 10pm plumbing in the bath and sink waste. We have changed our minds about having a bath spout coming out of the wall and are swapping it for a discreet Grohe Talentofill inlet and overflow within the bath. We are also going to send the whole bath back to Ideal Standard. They still haven't sent us a new leg almost three weeks after we complained and their fancy compact waste system looks like it would block up in an instant, and because it is all sealed there is no way of unblocking like a normal waste system. We are seriously regretting giving them our business. What a wicked day. Gorgeous sun again, blue skies, three times down Saint Jacques, giant hot chocolate, one more run then lunch. After, up the Varet bubble, then the Aguille Rouge lift to check out the amazing view across the alps from 3226m and marvel at the crazy skiiers plummeting over the edge. Dom and I went out again after that to savour the last possible hours of skiing. I did Saint Jacques another three times and Dom did the Cascades. One more day and I reckon I would have been able to tackle that too. I am sad to be leaving. I might not have the skills or the confidence but I've definitely got the bug. Au revoir Les Arcs! Hmm indeed. Not quite as into it today as I was yesterday. We tried a longer blue run first thing this morning and it freaked me a little. I think I needed to have practised first on the Saint Jacques runs. I slowly scraped my way down the edge of the run, gritting my teeth and clenching my buttocks so hard that I was in agony. I forced myself to do another Saint Jacques run before lunch, then Caroline and I did it twice after lunch while the boys headed off on their own. Back to the chalet for more delicious cake and another day on the piste draws to a close. It's been lovely and sunny today but if I'm honest I think I'd prefer more snow as it's more forgiving on a cowardly newbie like me. Today was absolutely fantastic. I love it! Caroline and I went up to do the Saint Jacques run first thing this morning and I made it down the first steep bit on skiis which was already an improvement on yesterday. Then a guy on a skidoo came up to tell us that they needed to close the run to do controlled avalanches. Well if anything was going to get me down the mountain fast it was the thought of an avalanche, so I was off, at speed, turning like a pro and made it down the mountain in five minutes! I couldn't believe it! What a difference to yesterday. Again! Again! We did a different run next time - turning right off the top of the lift - and the boys caught up with us half way down. Then we all did it another time together and twice after lunch. I've still been falling a lot but I have such a difference in confidence and understand the principles that I now feel like anything is possible. Bring on the black runs! Can't wait to get out there tomorrow. The sun came out at lunch time today and the mountains look beautiful under the blue sky. It's the chalet host's night off tonight so we are off out for a meal and then off to the Crazy Fox pub for some karaoke! So I woke up yesterday morning and tried to keep my mind off the challenge ahead. We dropped Caroline off at her lesson and then Dom and Jon took me off to the Saint Jacques chairlift. Jon went in a seat ahead then Dom and I in one behind. We were scooped up and bounced around - not a good sensation. Then came the moment I had been dreading: the end of the lift. It turned out to be nowhere near as bad as I was expecting, but I still fell over and took Dom down with me! We headed off to the left and my turns were working nicely. Next came a really steep bit which I couldn't manage, then a long fairly steep run which should have taken about five minutes but which took me four falls, as many huffs, much coaching and I finally reached the bottom about an hour later. It was done, over. Thank God. The snow really came down in the afternoon and visibility wasn't great which was a good excuse for Caroline and I to head to the pool. The boys went out for ages though. The word is that the powder is awesome (apparently). The best thing is after a good night's rest I'm dying to get out there and do it again! Yesterday I joined a new beginners class to repeat everything I hadn't mastered on day one. Before I'd had a chance to feel confident with my turns the instructor led us away from the nursery slope because it was getting too busy and took us down a massive steep slope (on which I fell over twice). Unbeknownst to me he was leading us to the chairlift. I have a terrible fear of heights, cliffs and fairground rides and the thought of all of these types of things combined absolutely terrifies me. I simply wasn't ready to face this and after the rest of the class and the instructor left me at the bottom of the lift I took off my skiis and trudged back to the snow field to wait for Dom, Jon and Caroline who were all happily enjoying the thrills. I slept in the afternoon, then after spending the whole evening listening to everyone's advice and the whole night dreaming about the steepness of the slope at the top of the chair lift I knew today would have to be the day, I couldn't stand the build up any longer . . . If I'd mastered the snow plough early on I think I would have made more progress but we moved on too quickly for me and after careering under the pulley rope and landing on my back hitting my head I lost my confidence. This meant I got left behind the others when they learnt turns and wasn't able to attempt the chairlift this afternoon with the boys. Caroline did but it was too much too soon and now she's spooked. Feeling positive, just going to pace myself. Chalet is nice, good bunch of people and food is gorgeous. No DIY getting done this weekend as we are away skiing in France with my sister, Caroline and her boyfriend, Jon. Woohoo! This is my 30th birthday present from Dom. Yes, I'll be reaching the big three-oh in just a few weeks time and this will serve as a good distraction from the fact that I'm getting old! I've never skied before and neither has Caroline. Dom has only done a day so all of us bar Jon will be in ski school. I'm well chuffed that I have mobile web access so I can keep blogging. Not only is this my first mobile blog but also my first from another country. I'm twittering now too so follow me at twitter.com/v1ctoria. Lie in? What lie-in? Up at 7am this morning to try and make up for the lost time yesterday. Dom spent the whole day installing the new Grohe cistern and frame, which will be concealed behind tiles. There was a fair bit of fiddly plumbing to do, and a lot of levelling out, compensating for crappy building work and walls that aren't straight. The Grohe kit itself was as you would expect from German manufacture: every little detail had been well thought out and exquisitely crafted. I think Dom quite enjoyed putting it all together. The Ideal Standard wall hung pan however, was a different story. It was exactly what we're coming to expect from British manufacturing: shoddy. When we came to put the seat and lid on we found that the screw holes were not even. One went right through the ceramic, while the other was filled in, and it wasn't clear whether you are supposed to knock this out. First the bath leg, now this. Ideal it is not. Anyway, by 9pm we had a working toilet - a very productive day.